This book should be titled "Your Money or Your Life." 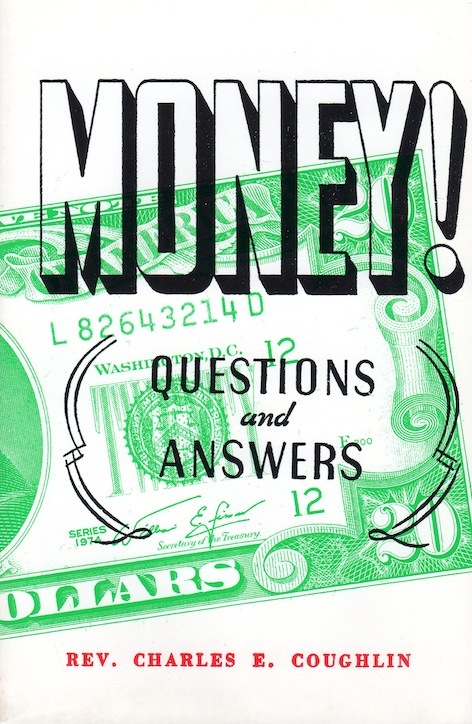 The title was discarded, because the pages of this volume are dedicated to an earnest, class-roomish exposition of simple economic truths intimately concerned with the nature of money. I readily confess that unless we American citizens recapture our sovereign right of coining and regulating the value of our money and of foreign coin (not permitting this Congressional function to be exercised by a few privately licensed individuals for their own profit) it is apparent that it is "your money or your life." It will be only a matter of years before the liberties identified with our democracy must be bartered for the privilege of eking out an existence under a political system of some kind of tyranny if we continue using the privately created money of those who do not work or produce to obtain money and who can manipulate the volume in existence. In truth, it is EITHER YOUR MONEY OR YOUR DEMOCRATIC LIFE.